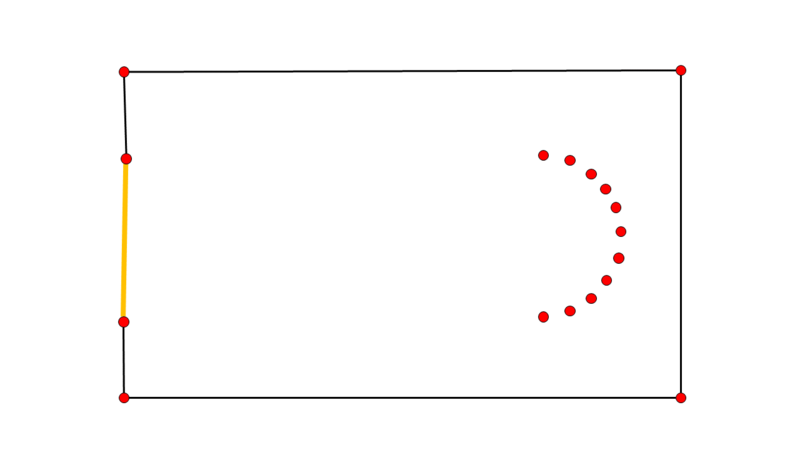 Imagine a flat terrain with bushes of bamboo (depicted by the red dots), a monk, that has chosen two of those bushes as the endpoints of his meditation path (depicted by the fat orange line), and further a tiger that is curious about what is going on. The solution of the above stated problem is the polygon formed by the corners of a maximal set of empty triangles with the "meditation path" as their common side $c$. So this question is neither about what the solution to the tiger's problem is, nor about how to calculate the polygon. is there already a name for the either of the variants of the "curious tiger" polygon? which (if any) generalizations of the 2D problem to higher, $d$-dimensional euclidean spaces, have as a solution a maximal set of points from which an unobstructed view to the entire lower-dimensional "meditation-simplex" is possible and. that every point of that polytope has an unobstructed view onto the entire "meditation-simplex"? The reason why I am interested in those kind of polygons, resp. 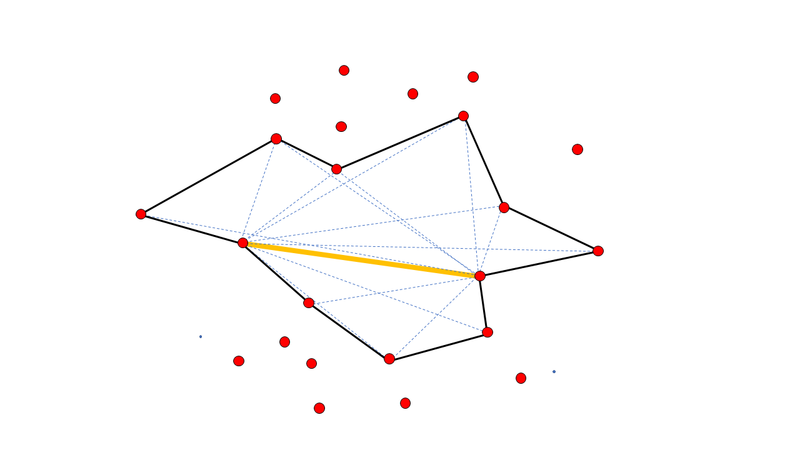 polytopes, is that they would allow for new algorithms for two wellknown problems in computational geometry: Shape Hulls and Tour Expansion Heuristics for the planar euclidean TSP can be improved by looking for large "Curious Tiger" Polygons (CTPs). 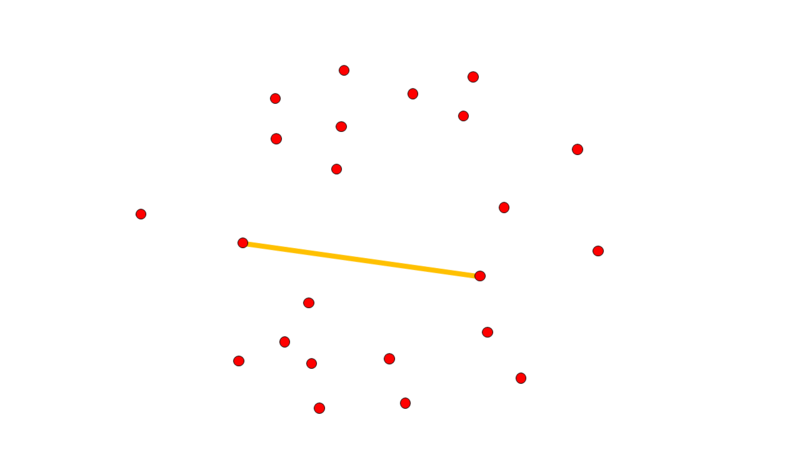 perform a greedy relaxation on the points that are contained in multiple CTPs until no pair of those polygons has an edge in common. In the extreme every edge would generate an initial CTP and the relaxing would be performed while guaranteeing that topological constraints are not violated. 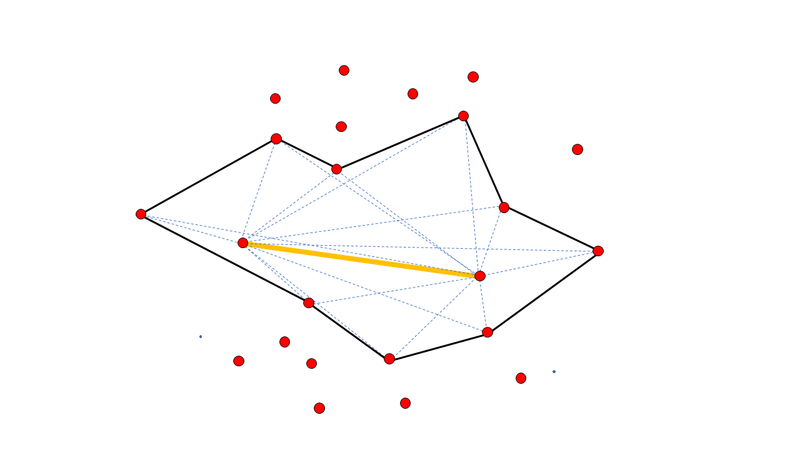 A challenging instance of finding a shapehull; starting with the convex hull, the CTP over one of the edges (depicted in orange) yields a convincing solution. 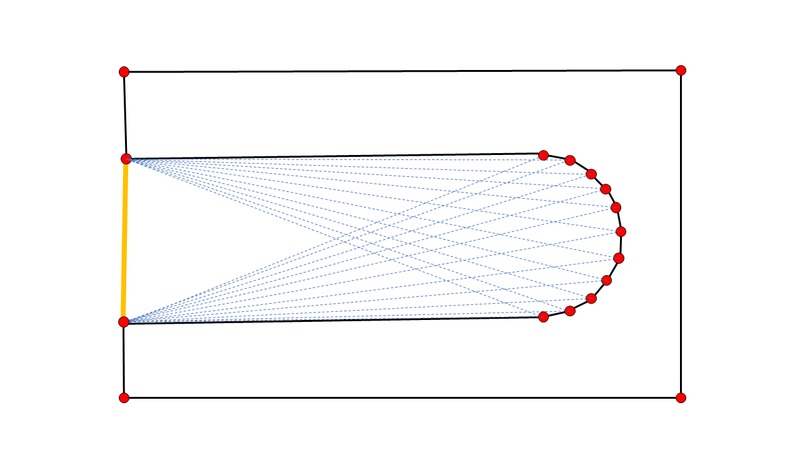 Illustrative example demonstrating how the CTP is superior to distance based shapehull algorithms. "A polygon is said to be a weak visibility polygon if every point of the polygon is visible from some point of an internal segment." In your setup, the "meditation path" is the internal segment. There is a difference in that you want "free sight on the entire meditation-path," whereas "weak visibility" only requires visibility from "some point of [the] internal segment." Naturally, changing "some point" to "all points" changes "weak visibility" to "strong visibility." This distinction was introduced by Avis & Toussaint, and is described in my book Art Gallery Theorems and Algorithms, Chap.8. So I would suggest strong-visibility polygons as a key search term. Not the answer you're looking for? Browse other questions tagged computational-geometry combinatorial-optimization polygons or ask your own question. 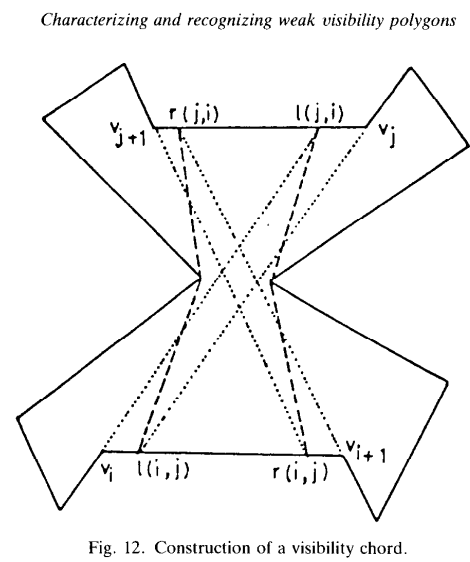 Construct polygon/polyhedron containing all points not externally visible w.r.t given polygon/polyhedron? Is this Graph Iteration Already Known?